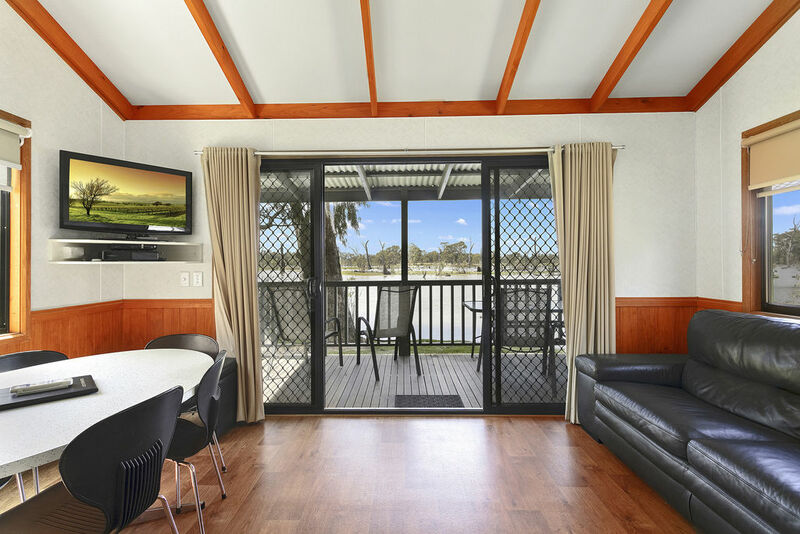 Waterfront Cabin - 3 bedroomOverlooking Gunbower Creek, the Waterfront Cabins are ideal for families, offering a comfortable home away from home. 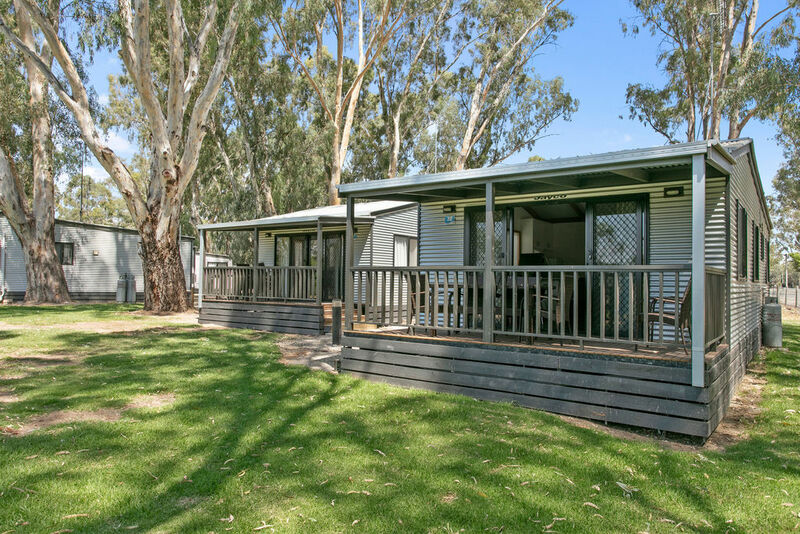 Waterfront Accessible Cabin Overlooking Gunbower Creek, the Waterfront Cabins are ideal for families, offering a comfortable home away from home. 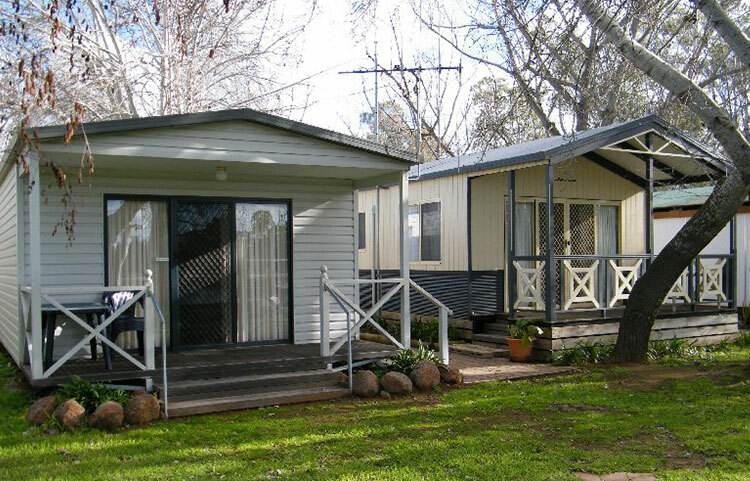 Accessible features include ramp access, compliant bathroom and fixtures. 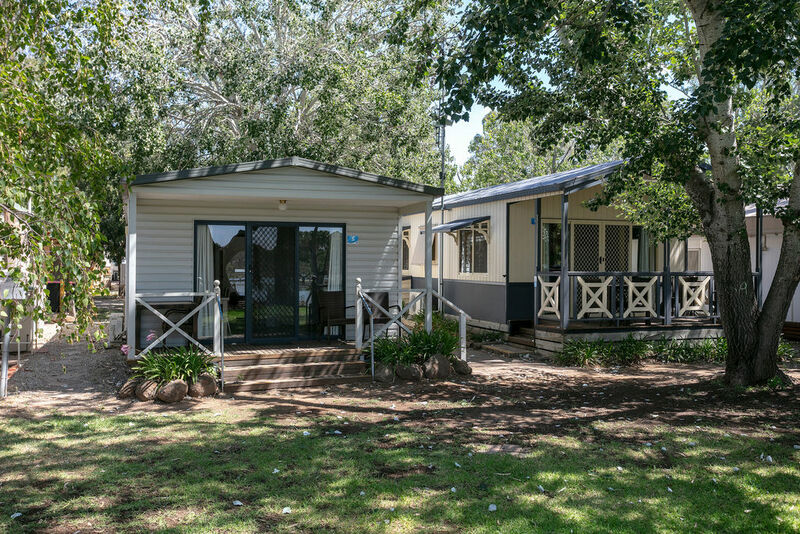 Waterfront Cabin - 2 bedroomOverlooking Gunbower Creek, the Waterfront Cabins are ideal for families, offering a comfortable home away from home. 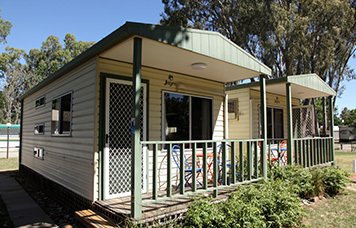 Ensuite Cabin - 2 bedroomOverlooking Gunbower Creek, the Ensuite Cabins are an affordable option for families, and a great place to sit back on the verandah of an afternoon. Ensuite Cabin - 1 bedroomCosy self contained 1 bedroom ensuite cabin overlooking playground, jumping pillow and camp kitchen. 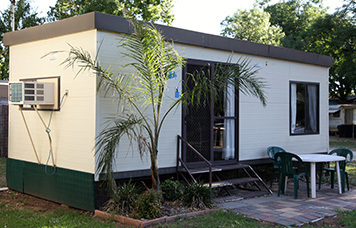 Budget Cabin (no ensuite)Situated close to park facilities including amenities, camp kitchen, playground and swimming pool, the Budget Cabins offer an affordable accommodation option. 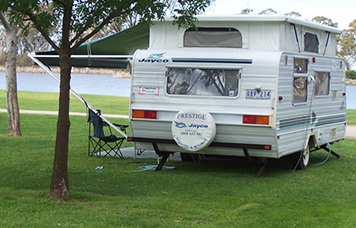 72 powered sitesPitch a tent or park your caravan on a large, grassy powered site, with fantastic facilities nearby including amenities and barbecues. 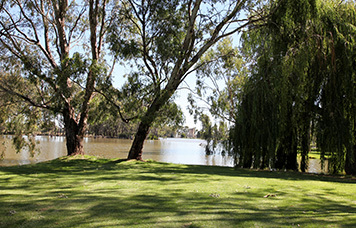 39 unpowered SitesEnjoy Cohuna's natural surrounds, with fantastic facilities nearby including amenities and BBQs.